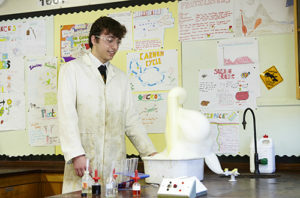 Torquay Boys’ Grammar School Sixth Form is a high achieving establishment, offering a broad, balanced curriculum and extensive extracurricular opportunities in sport, music, the performing arts, languages and many other disciplines. 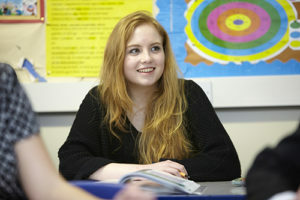 We offer both A Levels and the International Baccalaureate at KS5 and are open to applications from female students as well as male for the IB. Close to 100% of our cohort will progress to university and we therefore have a strong emphasis on preparing students for higher education. Each year, around 75% of our students attend Russell Group or 1994 Group universities and around 85% achieve a place at their first choice establishment. Regardless of our success with our university applicants, we offer guidance on a wide range of post-18 options and endeavour to cater to each individual’s needs. We regularly send a good number of students to Oxbridge and more students are now applying to universities abroad. Recently, three students achieved full scholarships to study at Harvard. We regularly appear in the top 10 boys’ state selective schools in the country for A Level results. The percentage of students achieving A* grades is more than double the national average and the number of students achieving A*/A grades is also well above the national average. The IB average point score is around 36 compared to 29-30 globally. This makes TBGS comparable with the top 10 fee paying schools in the country and near the top of the state schools in the country offering the IB. TBGS Sixth Form is a very dynamic and vibrant place. In the two years the students are with us, they not only make great progress academically in their chosen subjects, but also have opportunities to participate in a range of activities outside the classroom that will develop both their thinking and a broad range of life and leadership skills. When students leave TBGS, we aim for them to be fully prepared for the next step in their lives.